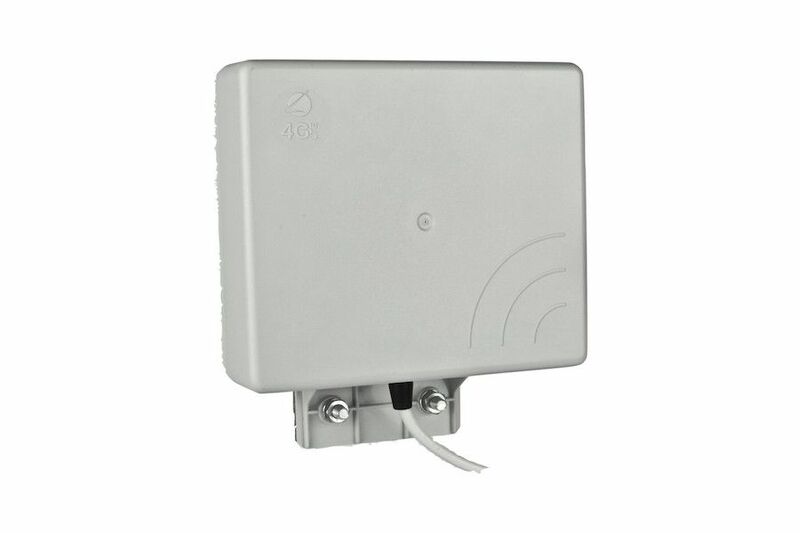 Directional extended band high gain antenna. An exclusive combined radiating element allows to have a high gain on all bands, high directionality ,high Front / Rear ratio and compact dimensions. Complete coverage of LTE band, LTE 800 + LTE 2600, as well as GSM, DCS, UMTS and WLAN makes it unique in its kind. The unique built-in clamp system, allows pole and wall mount without the extra accessories. The ultrasonic welding of the radome and the use of UV stabilized thermoplastic material makes this antenna suits extreme weather conditions like high mountains or marine areas. The integrated connection cable, can be customized in length and type of connector.